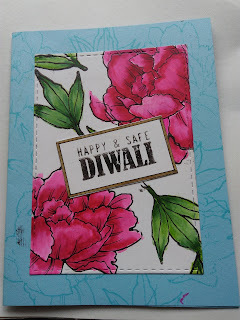 Diwali stamp form Ranganjali tansformed into watercolour with gold spatter embossing and negative painting.It's not very traditional but has the #Diwali flavour. 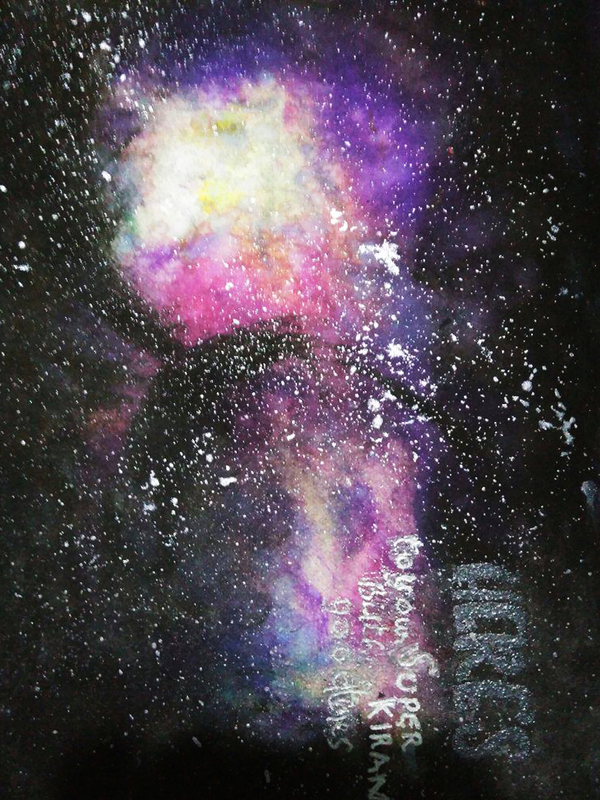 I used my favourite paints which i've mentioned in another post. I'm a newbie and $ Neha has inspired me. 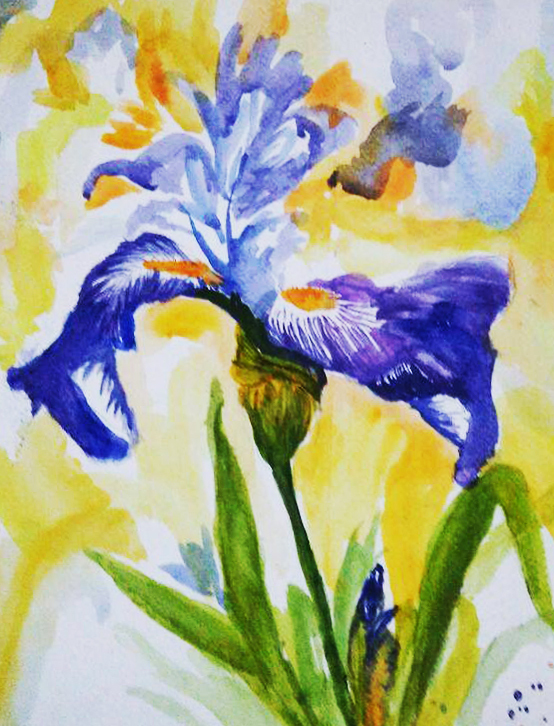 She advised me to go through the watercolours. But this Diwali i had no sale. So here are a few cards that i created as traditional cards. I'm happy that my one day one card with practicing watercolours is working. And, i'm sure my efforts will pay. I used the stamp, but as in watecolour the apints choose the way to go and you follow. So, i'm just happy to be part of the 'diwali' #challenge 11. Challenge card hops. 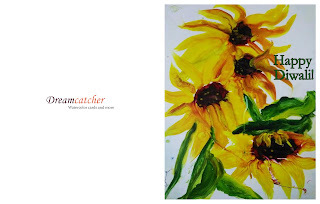 Uninvited, but to get ahead in my dream - drmctchrstudio! The New Challenge before Dhanteras - i find this day auspicious and i bought my #honour 8 which is adorable.The salesman was pretty upset i left the Samsung A 9 pro. I found it cumbersome. I was looking for a phone that was light and which didn't spread my hands to end. As it is i have my right hand with a small ligament tear and am painting with my left for the first time. Only time it is tortured is when it has to write or sign. This pic is from my #honor 8. Isn't it brighter. I feel good and most of these designs are from people like Gina K Designs, but ultimately you end up making it yours in a small way or even major part. Like using torn cardstock instead of inks to colour the paper in paper layers.And so wish me luck. Post some comments, follow or subscribe. Thanks! Simple, yet charming don't you think! Drop in with some advise or just a hi! 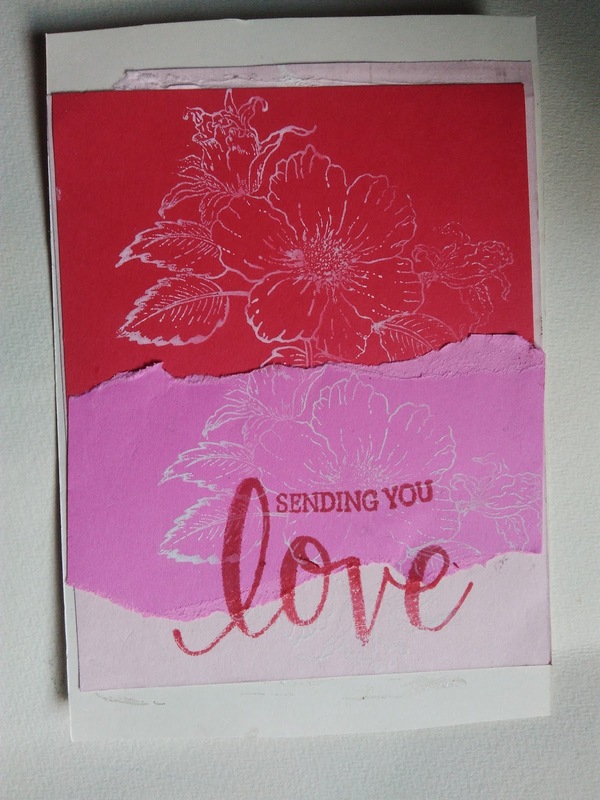 After i chose the pattern paper i used a #Justrite background stamp which you can see with colours of the pattern paper below. 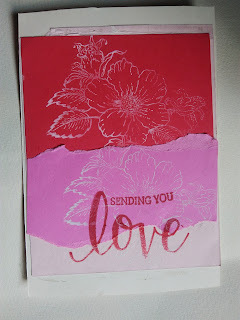 I used Hero arts white embossing powder. 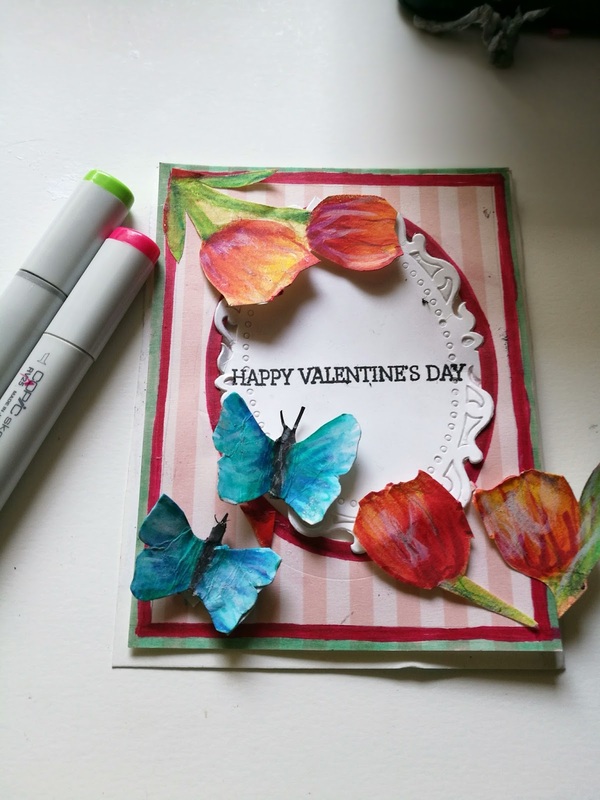 Then struggled with the layout i planned and finally found the white butterfly diecut and coloured it with #Zig real brush markers. Cut the flower from another pattern and edged it with the butterfly's zig pink later. Then. 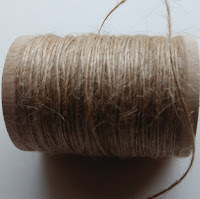 stuck jute twine from Simon says over the button hole. I let the let's party layer be loose like the butterfly in flight. Dunno if it's breaking some rules(sic!). I added the zig colours of light yellow and dark pink. Finally added lots of Wink of Stella over the butterfly, the flower and the background etched out flowers and the sentiment - 'let's party'.. I think it will take me a little more time to be totally in the groove, and try more ambitious greeting cards. 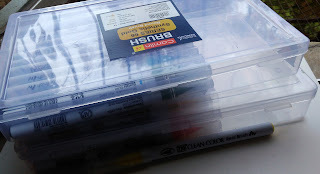 Small squares of double sided tape from #Mango(Viviana Mall, Thane) So also my Winsor Newton professional, Koi, Copics, and a lot of card making stuff - paper, watercolour paper, Canson Arches and favourite for its whiteness and quality ( i like it a lot) #Strathamore 300 gsm or lesser. 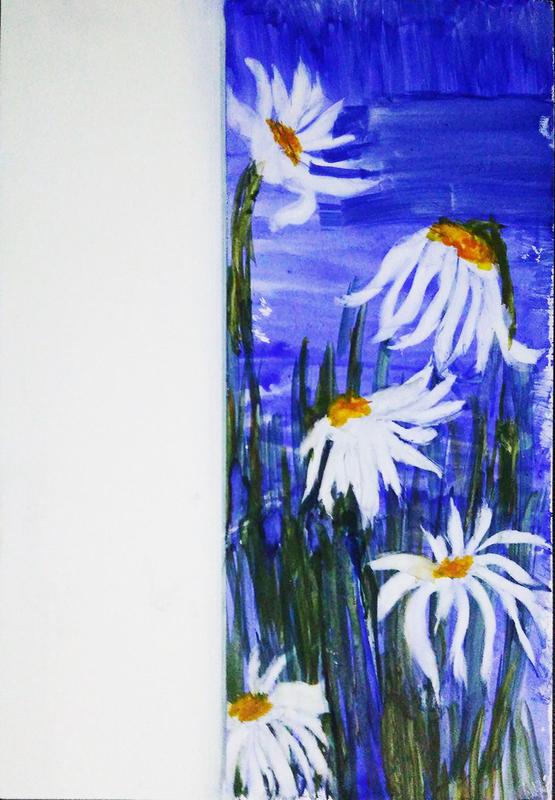 But when i get a chance i get my supplies from Amazon;, though once my sister got me Arches Large - cold pressed 300gsm for 50% less at a sale along with other stuff from #Michael's. I was over the moon. 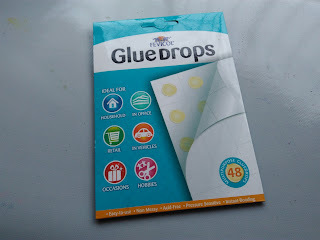 For Card making it's best to use plain white or glossy white, Iris which is available here. But the special stock got by the big brands cuts a hole in the pocket. Pattern Paper #My Favourite Things currently it has the best stamps of critters- cats BB I knead you). Penguins frolicking in the sun(! ), dinosaurs ones are out of stock! Brands wise i would prefer Schmnchke or Holbein and W&N, Daniel Smith, Generals for certain colours, but i decided go witht he colourful palette of Gansai Tampi. I'm really shopping online nowadays. Bur only for craft products. Daniel Smith, M. Graham (singles) from AMZ Others like DS - Coral etc. 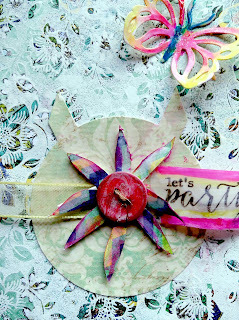 from #Ellen Hutson( i love the way she adds a personal touch with a ribbon, EH card and a nice note! I think like greetings these are so rare to see in India. #Simon says also adds a note, but i like EH and #AMZ is practical and down-to-earth -everything taken care of. I trust them coz they know hte rules and help you in following them like the import KYC (know your customer). Recently i've found #diecutsnadmore has been able to showcase good dies and products you want to grab and i do if i can! And it's if you don't get it here, you try elsewhere that's how you stumble on a new store. But i need professional attitude and a strong website. But sometime they get swept away by the storm, too! If you're looking for online stores you could also try #thecraftshop.in, #crafterscorner #kraftzzone.in #khushiartsand crafts. So things are looking up for Indian crafters. You see their talent being recognized abroad. Well i'm trying new cards, but right now my right hand has a slight ligament tear and i'm waiting to get back to my copics and paint with my right hand. Being ambidexterous is fine...so for now -my watercolor will try to complete #occ now, and later find another route to specialize. Slowly but surely. 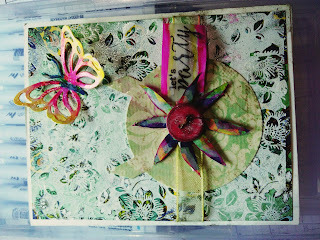 It's really my dream to create all kinds of cards and join blog hops, if only to be challenged. Check out the Jumbo mug i designed from my watercoloured image. You too could do it with yours or Zazzle's numerous images! And, earn money! Check out zazzle.com for details. After creating my watercolour and turned into a card as digital prints since i wouldn't part with my artwork. I read an article on Zazzle where you could custimize your design for any product they sell. You get paid for every sale and a cut of the royalty. Cool huh! You could check me out at FB and G+, pinterest- (sussayn), instagram (valsajohn9209), twitter handle @vallsa. Using these social media including linked in and blogs like blogger, wordpress, squidoo, flickr and get max coverage. I think we need time for people to be able to do what they want to. Personally, handling the selling part was so tough till i discovered Zazzle! 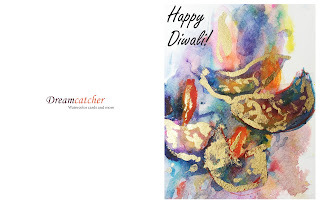 Of course i have my clients for greeting cards from my artwork arranged digitally and printout taken at a print house. Think a personal heavy weight colour printer would be great. What say! So take your inspiration and make it yours. Use the best paints, Arches 300 gsm(140 ), Saunders or Waterford where you need very heavy paper to handle all the wet into wet techniques. Try ordinary paints sometimes like i do 'koi' which surprisingly is quite semi-transparent.Three of these are on yupo paper. For embellishments and many of my products for card making i go to amazon.com and for books at amazon.in. Online stores in ‘India have mushroomed and a few i can mention are: diecutsandmore.com, kraftzone.com. Thecraftshop.in, crafterscorner.iu are the first shop i got many of my early products. There are shops in Mumbai like khushiartsandcrafts.in and kraftzzone.in right in Mumbai who sell from their store as do others, but i want to browse and choose my products, and get to know the latest stamps, colours, and embellishment, cutting dies - i yearn to have them all and the best of stamps is never enough. 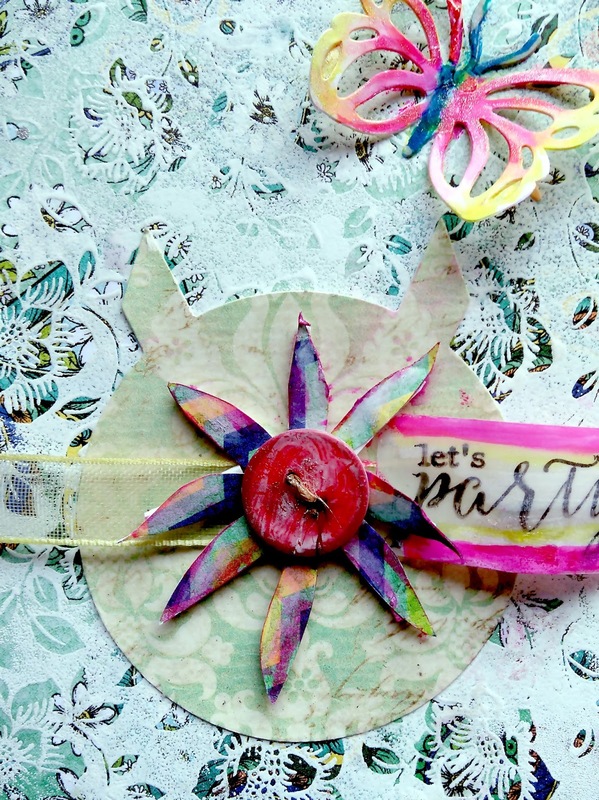 Investment is huge for dedicated crafters, but some manage with homemade stamps and pretty patterned papers . I did that when it was just a hobby.Now i'm dead serious and so joined onlinewatercolourcardclasses.com and found myself veering to watercolour, which i had started as a hobby three years back from youtube videos. No doubt you have to work hard updating, following and creating new products. With google+, pinterest, instagram, twitter, linkedin, flickr are all ready to showcase your products, you can say there is a chance you can make it big! With confidence! With Zazzle! Dreamcatcher is born with a card! ...and 5 years of watercolouring! After over 15+ years in Advertising, i yearned to do something different. 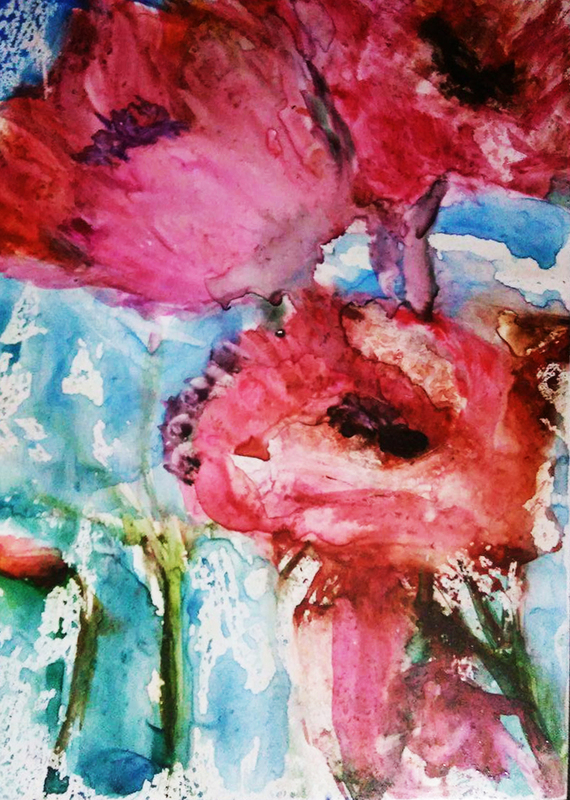 CARDS in WATERCOLOUR using different media! 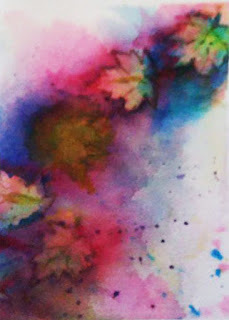 I joined the #onlinecardclasses.com , and renewed my watercolour dreams and i discovered my turning point. I'm taking copic and heatwave classes along with CAS (Clean and simple cards), So my first creation is the one that got a lot of Arches getting wasted (our instructors insist that we use the best and only the best!) Actually that works. But is expensive to say the least! But so is Cardmaking. New stamps, materials have to be gobbled before they turn persian motif (one i yearned for...) The one i used a lot was this 'negative' card. Even as i practising lessons and trying to complete "homework" i discover Yupo. Plastic, yet pure. You could have painted a whole sheet, but you could remove the paint and start over again (except for some pthalo colours and 'sticky' colours. 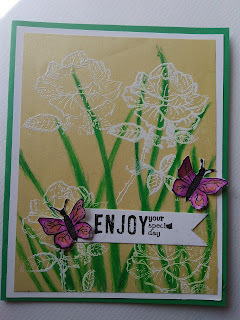 I tried Yupo paper for a lark and was hooked. It's challenging to say the least and i find most artist's and card makers using alcohol inks which is fine, but i yearned to use watercolour. Then i discovered Montana artist Jane Latus Emmert. I was elated till is discovered she had left for her heavenly abode a few days after my unending search for her website. :( But, unsung by today's generation, i think, she left a legacy of Montana's beauty where she fished, painted and hunted. My next find was a huge canvas painting and i took off of on a small sheet. The message side is empty and soon i will choose my sentiment...maybe not a ready made one though I love those. Some are so good that it's just what you want to say. wplus9, Simon says (love their critter stamps and occasion sentiments. Penny Black, Hero Arts, Justrite. and so many. Will mention them as i create my cards. 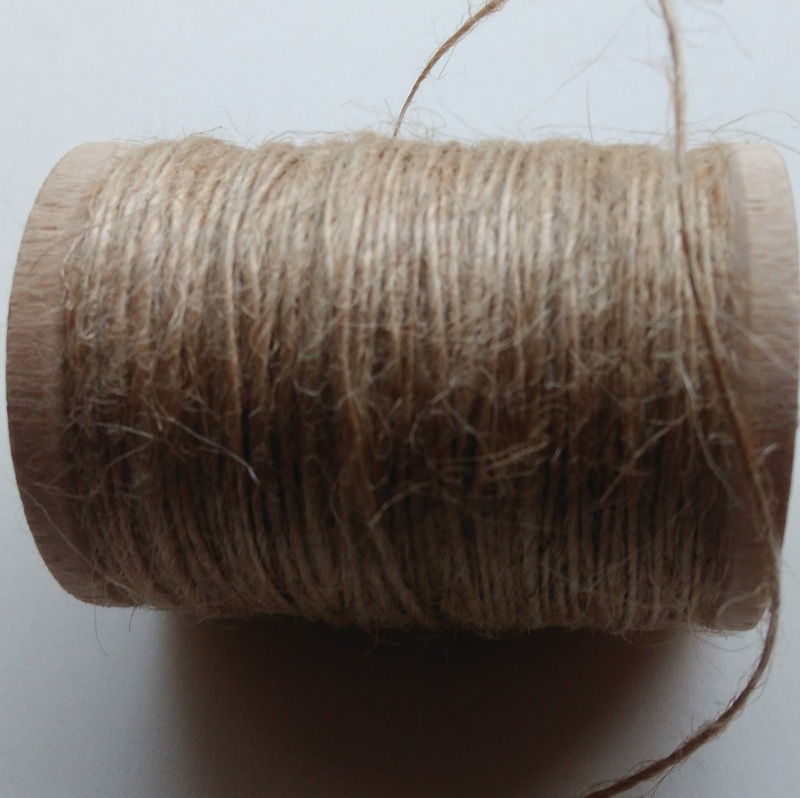 I used a napkin, some rough jute and sponge. I found that you can let the colours in their water cast you create or then they mix and blend. All you avoid is making 'mud'.I'm still on the 'yupo' bug. Five years back i got bitten by the bug and i think many such ;hobby' bugs. A year later i left it thinking i wasn't any good. Then i caught the music bandwagon before i returned to 'art journaling' and then realised it was cards i wanted to paint and all flowers. Of course later critters joined them and i think it will be landscapes. These i want to sell watercolour flower cards and more. Starry galaxy and a sentiment gone awry. In advertising as a copywriter; i' knew it was time to follow my heart once more and so it's been learning and culling info - then discovering online cards and classes! c@valsajohn2016. Watermark theme. Powered by Blogger.